If you are a fan of Formula one racing who has watched for a long time. 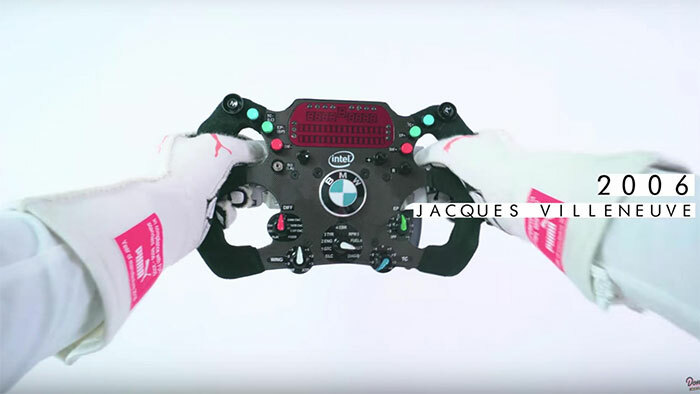 You have seen the evolution of an unlikely bit of racing tech- the steering wheel. Long gone are the days where the steering wheel was just for steering. In the high-tech an complex F1 cars of today the steering wheels are festooned with knobs, switches, and dials. If you are unfamiliar with F1 racing, the evolution of the steering wheel is still very cool to see. Ferrari is even starting to put a bit of this racing steering wheel tech into its street cars with wheels being festooned with buttons and dials. I always wonder how long the drivers have to be in training just to learn to use these steering wheels. I have also noticed that F1 steering wheels are currently very much like the whele KITT used in Knight Rider back in the ’80s on American TV. I don’t see how steering wheels can get any more complex in future F1 cars.